To replace, you need to first remove the crank handle, and then the two screws that hold it on. Brad, thanks so much for your help. I removed the pointer bracket sleeve per your instructions. 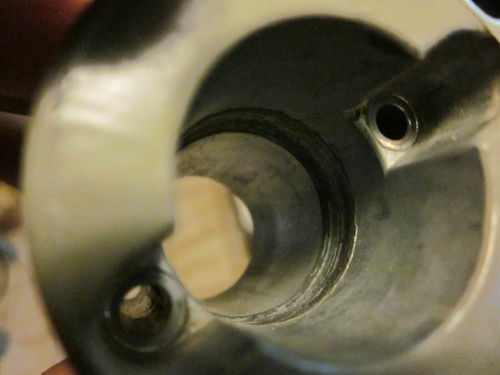 The sleeve is fine…no groove but the bullets are junk. 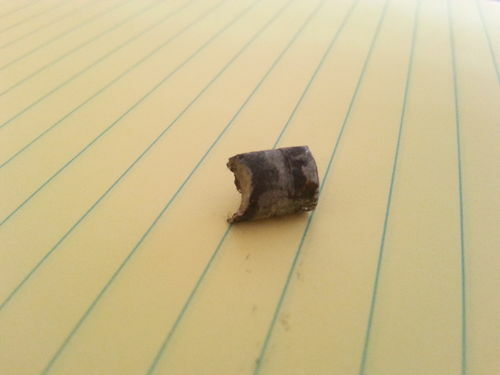 What should be a bullet shaped end is now just a concave semicircle. I have only been able to remove one of them so far…the other must be too deformed to slip out. I’ll probably need to cross drill and tap one side of a metal sleeve with a clearance hole on the other side to create some kind of a jacking bolt to push the bullet out. It’s always something!